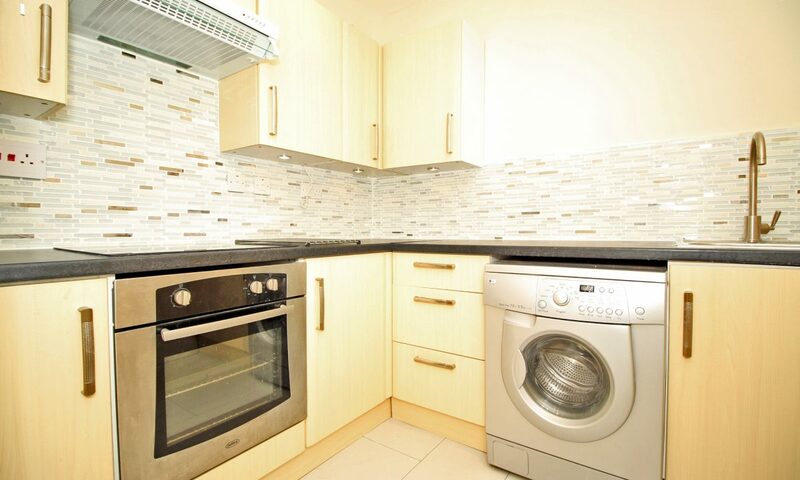 This incredibly bright, south-facing, top-floor flat has been refurbished to a very high standard. 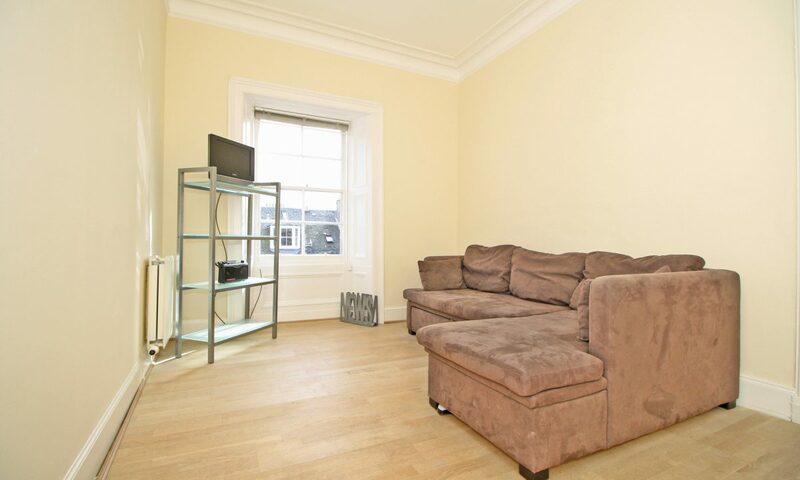 Located next to George Square and the main campuses of the University of Edinburgh, it is situated in the hugely popular Newington area. The property is surrounded by superb amenities, with eateries, coffee shops, convenience stores and retail outlets operated by both local and national companies in the surrounding area. 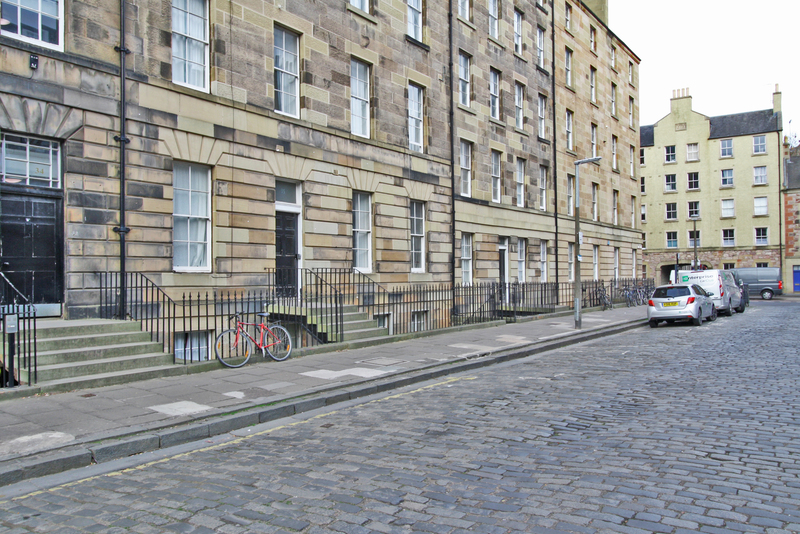 The University of Edinburgh’s student unions at Potterrow and Teviot Row House are only a very short walk away. The key-note Quartermile development is also nearby, housing prestigious companies in its office, leisure and commercial units; including a 24-hour Pure Gym, a Starbucks and a Sainsbury’s Local. Edinburgh’s Old Town with the historic and culturally significant Royal Mile, Cowgate and Grassmarket areas are only a short walk away. In terms of outdoor space, both the Meadows and Holyrood Park are within easy reach, offering a great opportunity to get away from the hustle of city life within minutes. The property features traditional-style sash and case glazing and hard wood floors throughout. 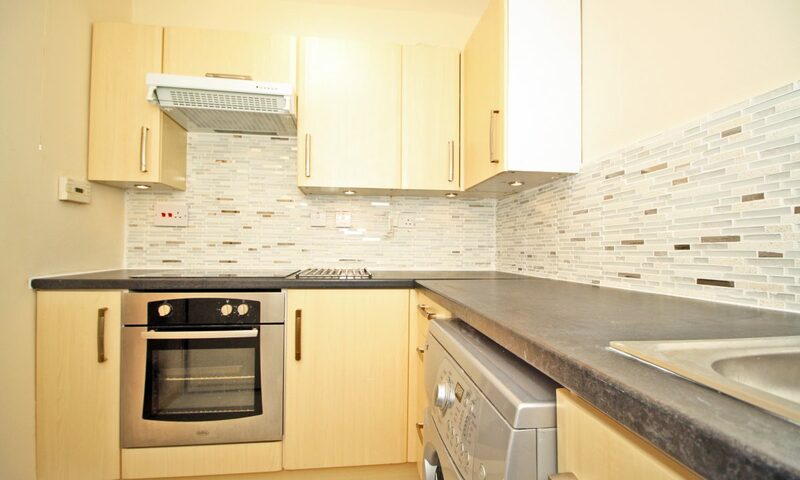 The kitchen is newly-fitted and the property also has a modern bathroom. The property is presented in a condition which is compliant with current regulations for rental properties and includes hardwired smoke detection compliant with BS5839. The property was previously let out for investment purposes. 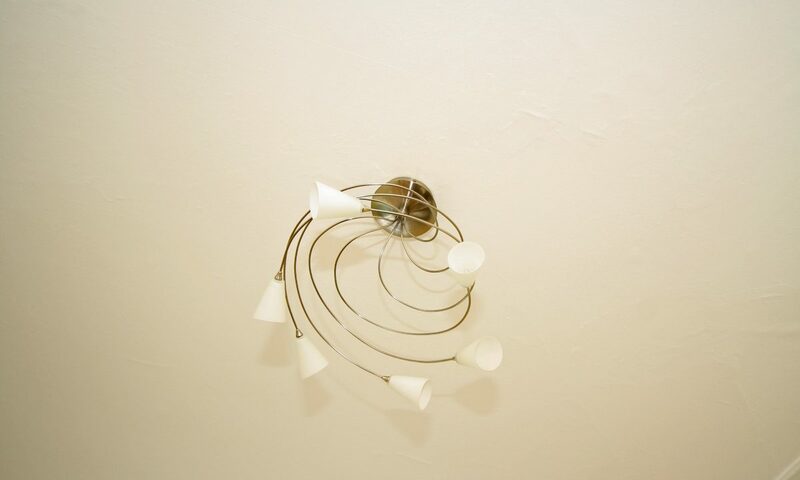 There is also access to a ceiling void, with potential for loft storage. 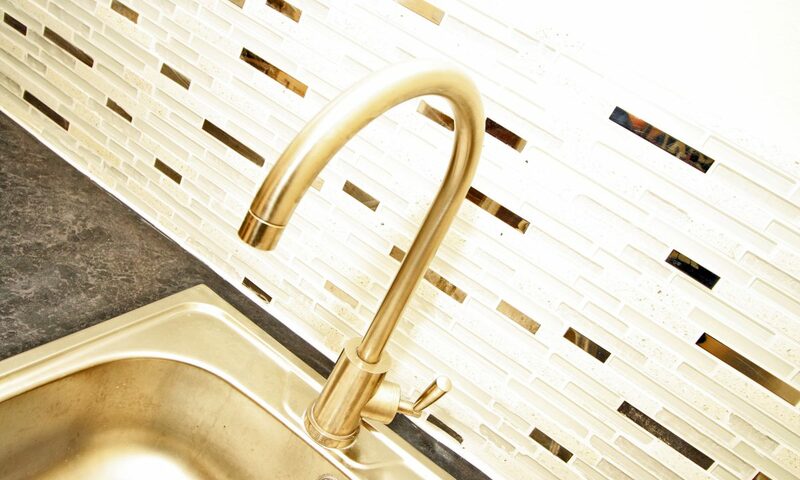 All floor coverings, blinds, kitchen appliances and light fittings are included. 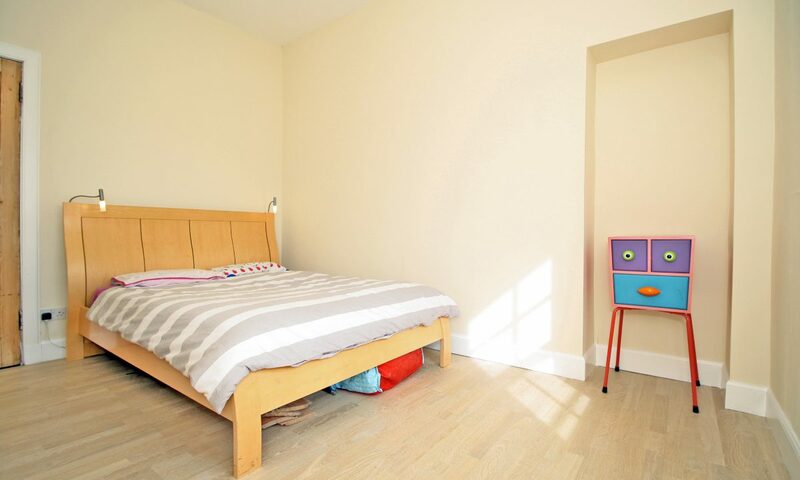 Entered through the well-maintained communal tenement, the hallway features fresh clean decor, hard wood flooring and a large, floor to ceiling, built-in storage cupboard. Lovely bright lounge with space for a dining table. The room features hard wood flooring, fresh décor and a refurbished traditional sash and case window. Superbly finished fitted kitchen with good range of base and wall units, contemporary beech fronts with black work surface and stylish mosaic tiled splash back. Stainless steel sink, oven, hob and hood complete the modern fresh appeal of the recently refurbished room which is completed by stone effect tiled flooring. 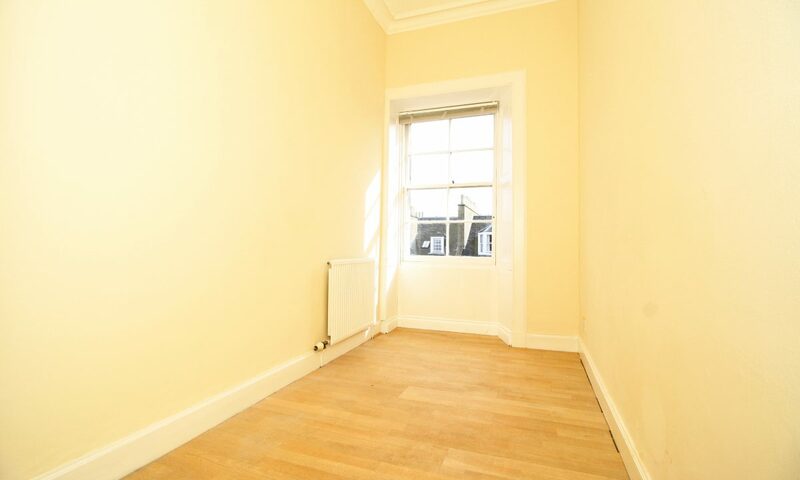 Bright double bedroom freshly decorated and with new hard wood flooring and refurbished timber sash and case window. 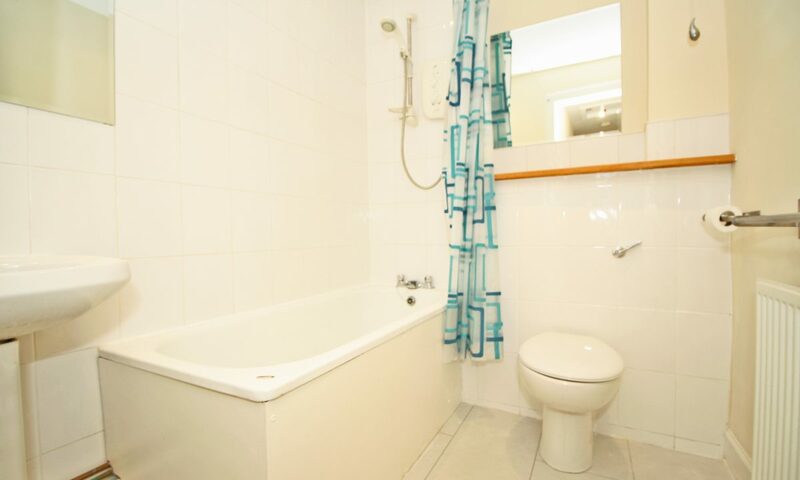 The room has ample space for storage and features a gas central heating radiator. Accessed via the lounge, this additional, multi-purpose room offers potential for use as a second bedroom, home office or dining room. 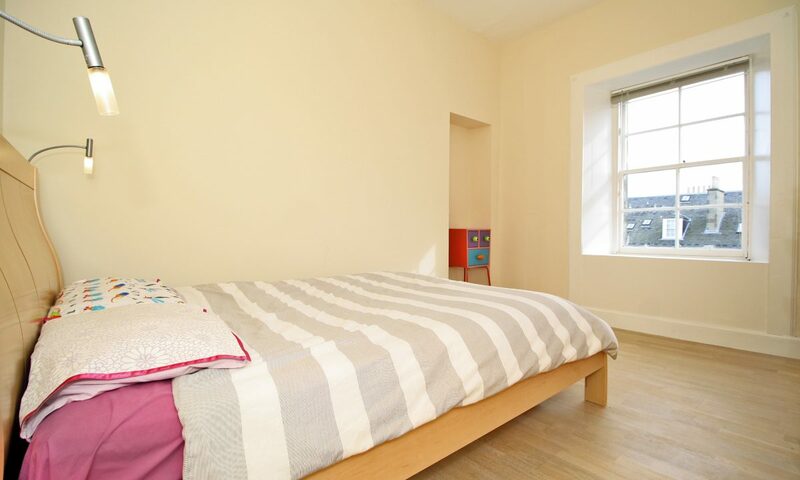 As with the rest of the flat, the room benefits from fresh, modern décor, hardwood flooring and a traditional-style timber sash and case window. Superb, recently installed, modern, fitted bathroom with white tiling around the wet areas and stone-effect tiled flooring. Fitted with a white, three piece, bathroom suite and over-bath electric power shower.